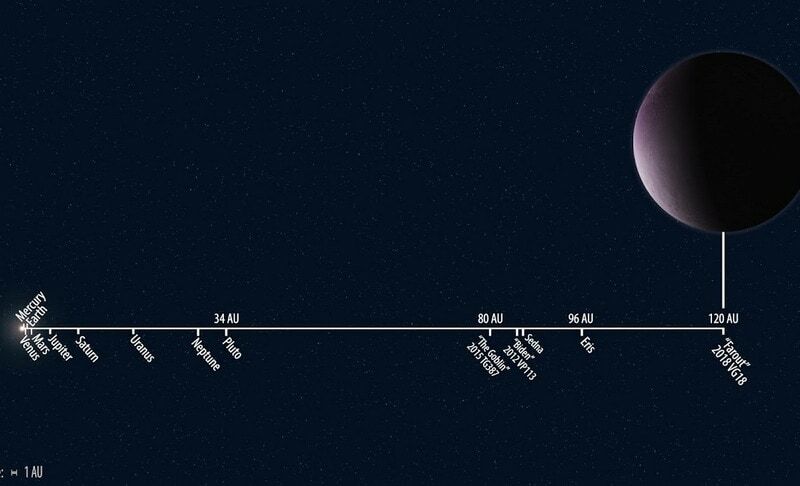 Scientists have discovered the most distant object known in our solar system, so remote and unusual they chose the nickname “Farout” for the slow-moving, icy, pinkish dwarf planet about 120 to 130 times further from the sun than Earth. Astronomer Scott Sheppard of the Carnegie Institution for Science in Washington said on Tuesday the dwarf planet, officially designated as 2018 VG18, is estimated to have a diameter of 310 to 375 miles (500 to 600 km). There are roughly 50 dwarf planets in the solar system. The biggest are Pluto, with a diameter of about 1,470 miles (2,370 km), and Eris, with a diameter of about 1,445 miles (2,325 km). “When I saw the object for the first time, it was moving so slowly, it was the slowest thing I’ve ever seen. So I kind of muttered to myself, ‘Far out,” kind of like, ‘That’s cool.’ But it’s also a very-far-out object in distance, so that’s why I went with calling it ‘Farout,'” Sheppard said. Its discovery was announced on Monday by the International Astronomical Union’s Minor Planet Center. Sheppard and other scientists spotted Farout during their search for extremely distant solar system objects including a potential Planet X that he said could be five to 10 times the size of Earth. In 2014, these researchers proposed the existence of a ninth major planet at the outer reaches of the solar system. They said Farout is moving so slowly that it might need more than 1,000 years for a single orbit of the sun. The second-most-distant observed Solar System object is Eris, which orbits at about 96 times the distance of the Sun to the Earth. Pluto orbits at about 34 times the distance of Earth from the Sun.